Please note: There is a bit of controversy and confusion surrounding Toronto's team nickname in their inaugural 1917-18 season - a season that they won the Stanley Cup! I rely on a great 40 page book and research published by John Morrison and Doug McLatchy in 1996 called "The Toronto Blue Shirts aka The Torontos - Stanley Cup Champions 1917-18". Allow me to quote from their great work: "After extensive and exhaustive research we are now certain that in the 1917-18 season the hockey team in Toronto was known as The Torontos or the Toronto Blue Shirts. Both these names were commonly used by the newspapers of the day but nowhere have we been able to see any reference to The Toronto Arenas until the 1918-19 season. However, all modern records, stats and reference material [incorrectly] refers to The Toronto Arenas for the 1917-18 season." The authors go on to explain that the confusion stems from the very muddled ownership situation of the Toronto franchise in this period of time. 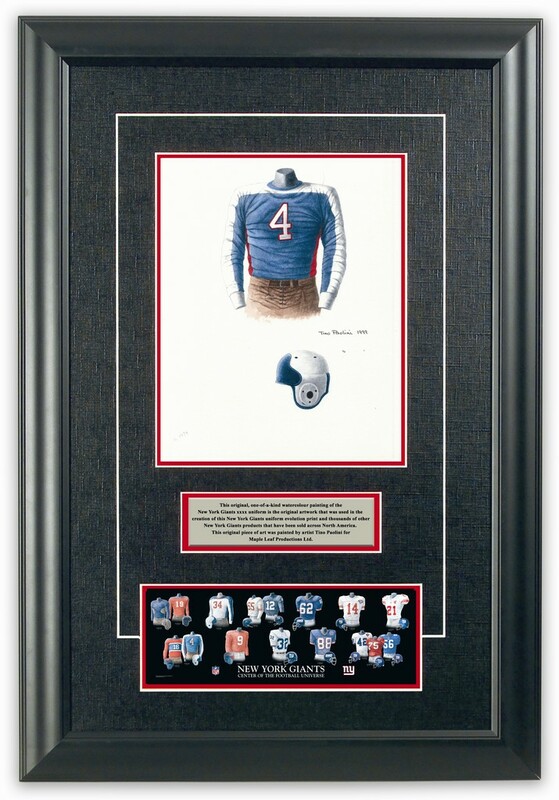 If you love the Toronto Maple Leafs and the history of the Leafs franchise, you might really love to own an original piece of artwork celebrating the team's historic jerseys as seen in the poster at the top of this blog - you can actually own one of those original pieces of art! There are only 17 pieces of original art available for sale, and when these 17 are sold, that's it, they're all sold out. 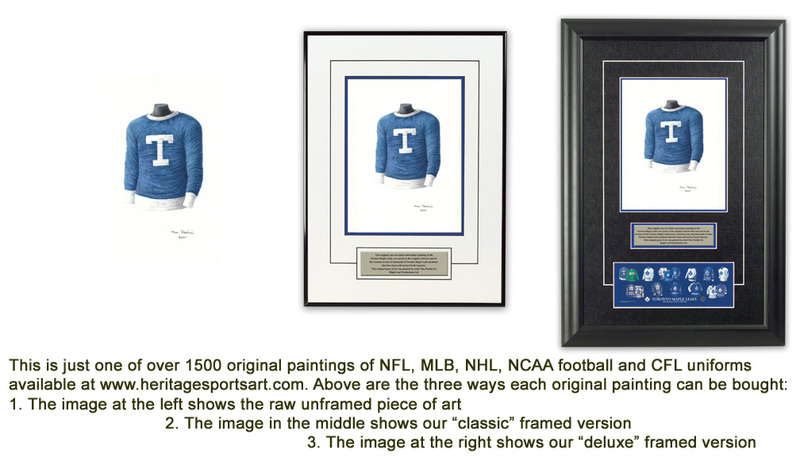 If you would like more information about this great artwork including the three ways you could purchase each piece, please visit our Toronto Maple Leafs YouTube video at www.youtube.com/watch?v=W7AZMyptVtk or go directly to the artwork website www.heritagesportsart.com/Toronto-Maple-Leafs-c191/ where you can see and purchase the artwork. Please note that the actual original, highly detailed, hand-drawn pen and ink sketches used for the 3 arena images shown above are available for sale as a complete collection to one Leafs fan. If you are interested in being the one and only owner of this complete and original collection of Toronto Maple Leafs arena images, please contact me by email ssillcox@rogers.com and I can explain how they can all be framed in one beautiful piece. This text was written by Scott Sillcox and was last updated August 24, 2010. I have tried to ensure the accuracy of the information, but I am human and can make mistakes. If you believe I have made a mistake, please let me know by email at ssillcox@rogers.com ! Why was it decided that the franchise was started in 1917 when the Blueshirts won The Stanley Cup as early as 1914? Buying a perfect franchise business is really an amazing way to start an own business as these are easy for managing purpose. Here I get such valuable information about franchise business.